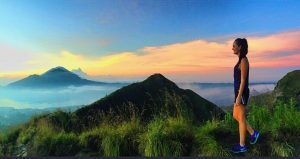 Soaring 3,033 metres above sea level, Mount Agung is the highest mountain in Bali and the fifth highest volcano in all of Indonesia. This is also the home of Pura Besakih, Bali’s most sacred mother temple. 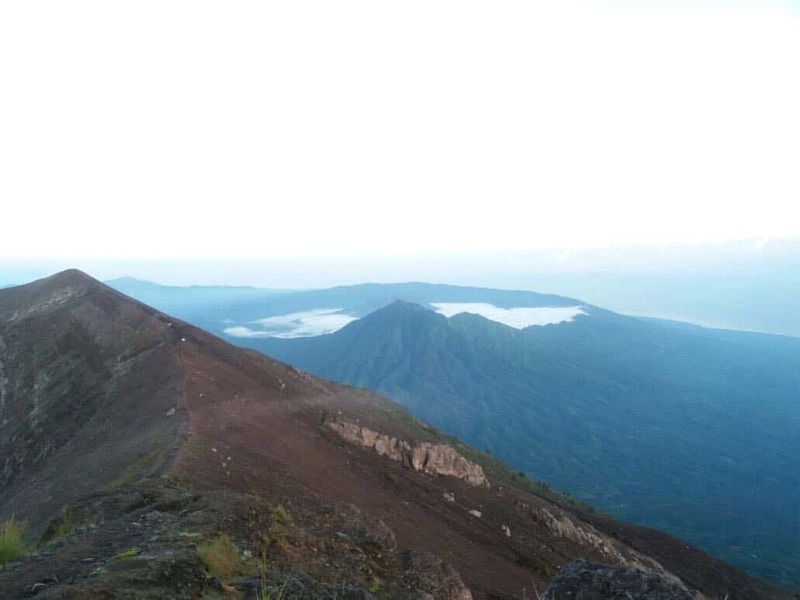 The trip up Mount Agung is the hardest trek we offer, but it’s well worth the effort for the incredible views and the sense of accomplishment you get when you arrive at the top. 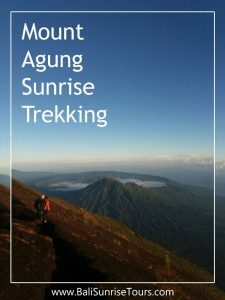 We offer two different treks up Mount Agung: The Pura Besakih Starting point takes you to the higher western peak, the Pasar Agung Starting point goes to southern peak. The Pasar Agung route is a little shorter, so it is often preferable for people who would like to be picked up a little later. The difficulty and views are comparable, and people who have done both say each route is equally rewarding. From Pura Besakih, trekking begins at approximately 11:30pm and takes about 12 hours in total. 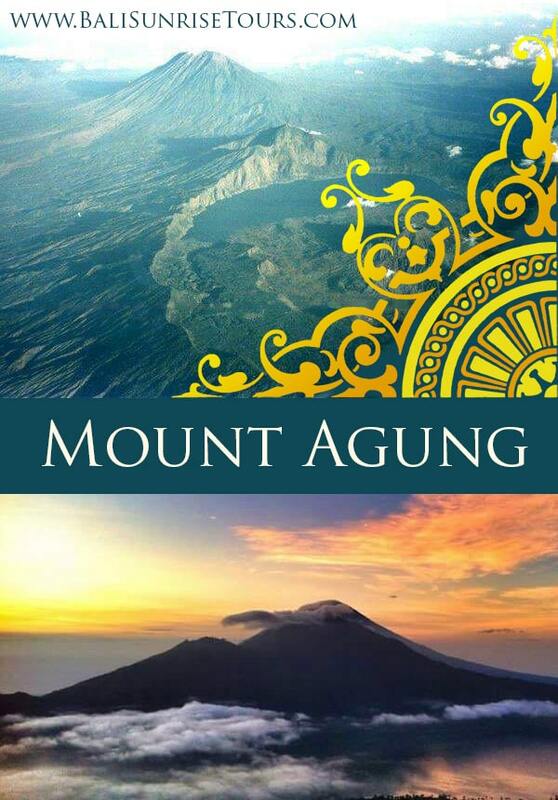 From Pasar Agung, we begin at about 2:00am, and the total climbing time is about seven to eight hours. No matter which trek you take, you will start climbing through the jungle and eventually hit steep rocky sections to reach the peak. At the top it can get quite cold and windy, but it will all be worth it when the sun starts to rise and turns the sky into a myriad of purple, red and orange hues. 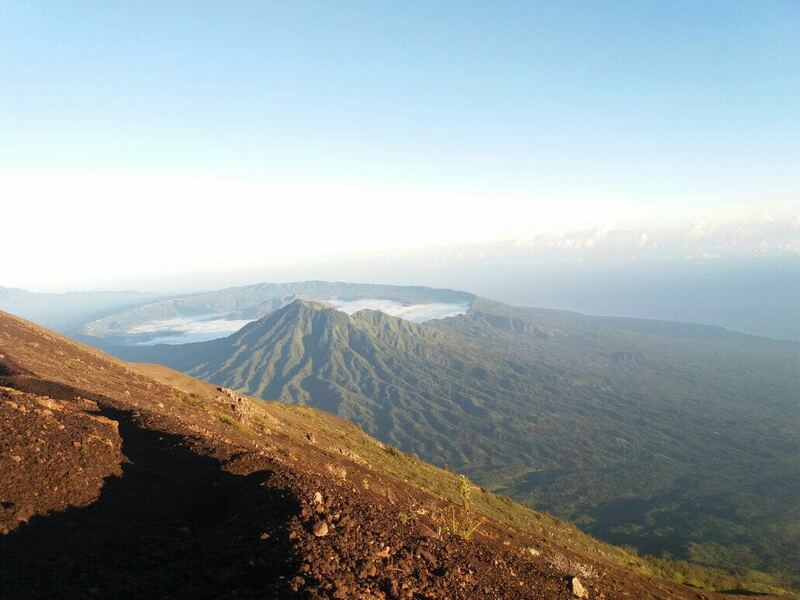 As the sun climbs higher in the sky, you will be able to gaze out at the entire island of Bali from above, as well as the neighbouring islands of Lombok and Nusa Penida. After witnessing the spectacular sunrise, we’ll enjoy some hot drinks and snacks and then begin our descent down the mountain. Upon arrival at either Pura Besakih or Pura Pasar Agung a car will be waiting for you to take you for a relaxing buffet lunch. Pick up Time: Pick-up at hotel, and transport directly to the starting point at Pura Besakih. 23:15–23:45: Arrival at starting point, introduction and safety procedure briefing by our English-speaking tour guide. 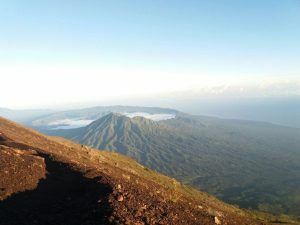 06:00: Arrival at the summit, where we witness the spectacular view and sunrise. While there we will enjoy hot drinks and light snacks. 13:00–13:15: Arrival at Besakih Temple and boarding car/mini-bus. 13:30: Arrival at Bali Sunrise Villas for a relaxing buffet lunch. 14:15–14:30: Boarding car/mini-bus and depart to your hotel on on to your next tour. Approximate climbing time is 12 hours. 01:30–01:45: Arrival at starting point, introduction and safety procedure briefing by our English-speaking tour guide. 06:00: Arrival at the summit where we witness the spectacular view and sunrise. While there we will enjoy hot drinks and light snacks. 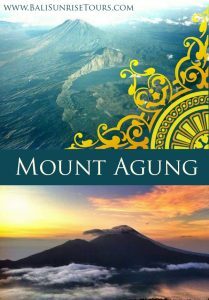 11:00–11:15: Arrival at Pasar Agung Temple and boarding car/mini-bus. 12:30: Arrival at Bali Sunrise Villas for a relaxing buffet lunch. 13:15–13:30: Boarding car/mini-bus and depart to your hotel or on to your next tour. Approximate climbing time is 7 – 8 hours. 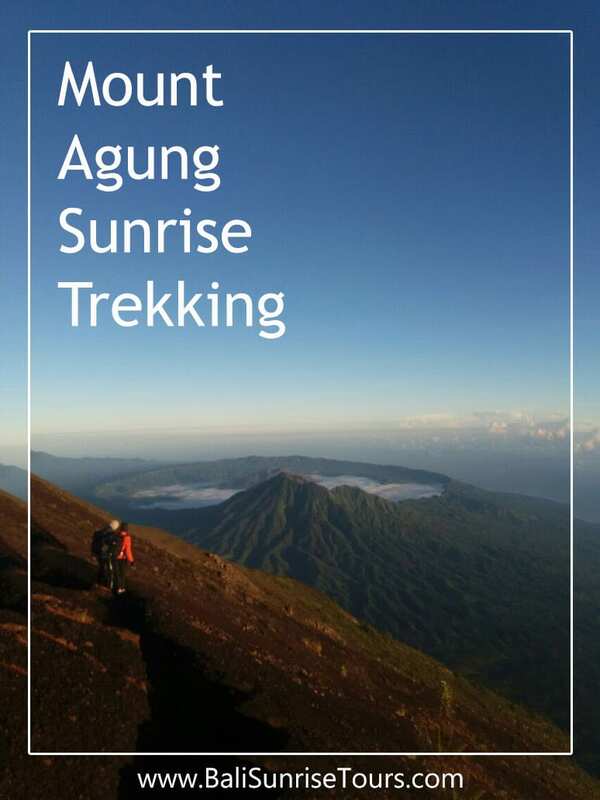 Book Now from Besakih!Book Now from Pasar Agung! Traveling alone? No problem! As a single passenger you can still book any date at our single passenger rates, or check for reduced rates on dates when there is a group that you can join! 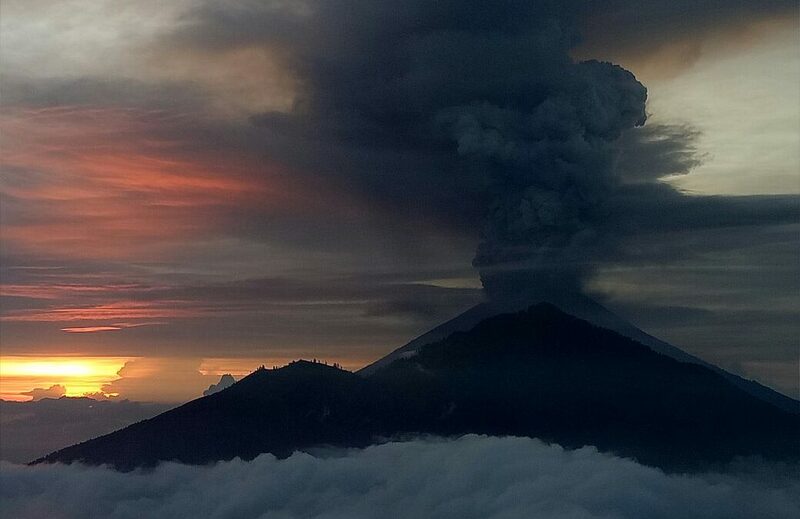 Mount Agung is Closed for Trekking Until Further Notice! 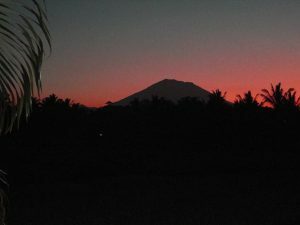 Due to increased volcanic activity, Mount Agung remains closed for trekking. Please check back for updates! Mount Batur is not in the Exclusion Zone, and is fine for Trekking. 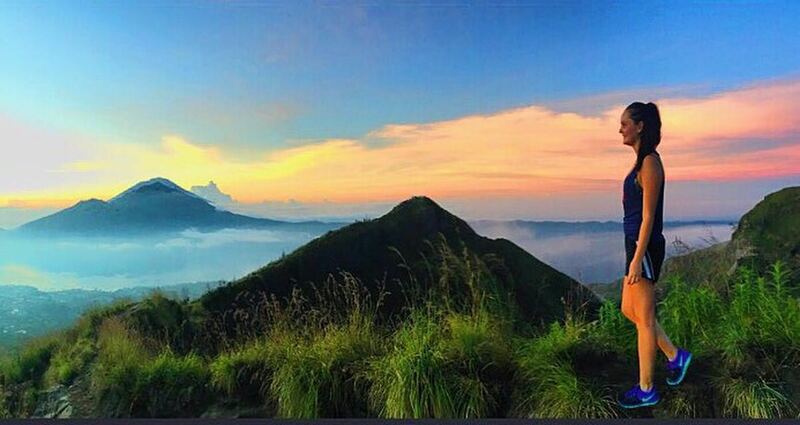 Book your Mount Batur Trek Here!